Ex 78/34 CK Block prefix. Not quite right, trimatic 186S Holdens got a different cam 7420034. All HT 186 get the 7428531 cam until trimatic replaces powerglide then from then on the trimatic 186 gets the 7420034 cam but the manual kept the 7428531 cam. LC parts catalogue does list 2822075 (says stamped XH on the front in the text) against 186X (agree this must be the 8/71 LC XU1), but also lists it as the cam for the 2850S which seems silly. 186X is the first month LC XU-1 with the 075 cam. The 3100X are the LC XU-1 ones after that first batch. The two cams are the same only the 3100X is a retarded by 6 degrees to get more power. So it could be that the cam people put an X on the cam to reference what it is as to the timing, so XH could be for advanced or HX could be for retarded. Now the reason I say that is I know with ford they do the same thing with cams. 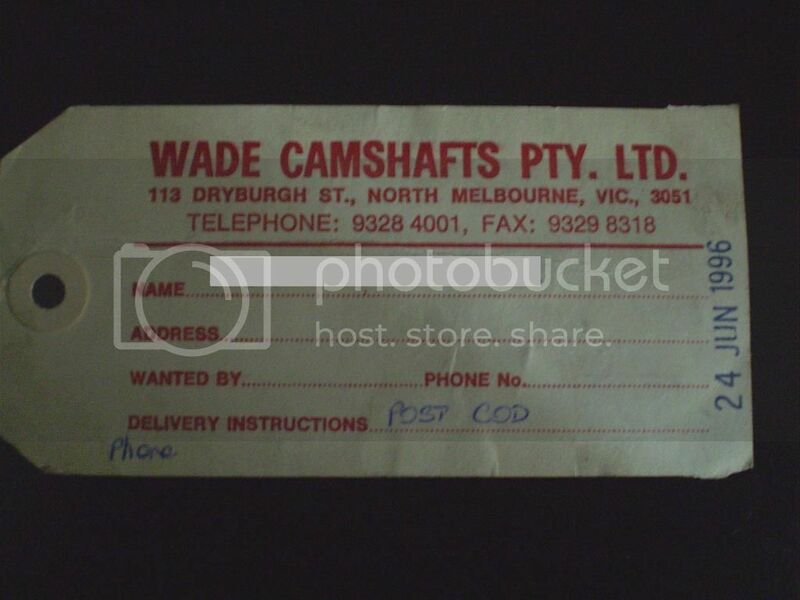 If anyone is interested this is what Wade were selling as there LJ Bathurst cam in 1996. 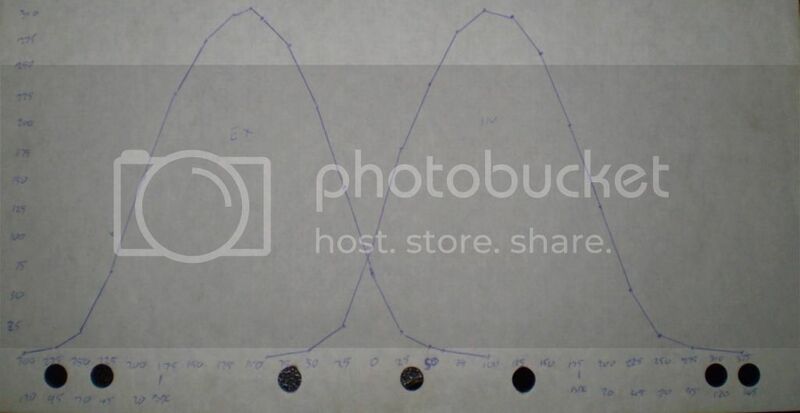 This is a rough graph of the cam. Has anyone ever graphed any of the original cams at all. I know this is an old thread but I only found it recently and thought I just add my 2 cents. Good to finally see someone actually thinking about the XU-1 camshafts. You are mighty close with what you have posted. The LC XU-1 camshafts were retarded by 6 deg from the SOP. In that History of XU-1 book the claim that the LC XU-1 camshaft grind was changed slightly but the part number 2815739 stayed the same is pure BS. There was no physical change to the camshaft whatsoever. Which is pretty normal in GM world. They only really ever used a few grinds and GMH were the same. They seem to retard or advance them if they can rather than have a different part. The book says that the grind is changed and same PN. ? As I am to believe is that the std LC XU-1 first came out and then later the timing gear must of been changed to make it advance by 6 deg. so the timing gear must be a different PN to of done that, or is it that the original is just BS. Why would Holden of come out and did such, I would think. I have played with cam timing and to set the timing out 6 deg is just madness on such a type of cam, if it's been ground for a effect, playing with the adv or retard is only due to other reasons to do as such, but such is not the point on a cam to be played with like that. lets say that I would not recommend doing such, so I find GMH to do such would be odd. I know of a USA 351 Cleveland that such a grind was done but that was for emissions reasons only. They did it with the VK EFI cam too, retarded it by from memory 6deg. No use bothering with what the XU-1 book says when it is incorrect. The LC XU1 used the same camshaft gear from the SOP to EOP. Another Service letter was then sent in October 1970 to correct the timing specs listed in H326 and H330. These are the figures you see written on the September dealer service letter on page 132 of Fiv's XU1 book. I'm surprised that FIV didn't claim the LC XU1 camshaft grind changed twice making it three different camshafts all with the same part number. Bigger cam I believe it was than the carby VK. Boy them 3.3L EFI got along well in the day and the 3.0L Nissan engine lacked the torque of the 3.3l EFI, until it got wound up and then took off. Yes it was a bigger cam but it was retarded in the.timing gear.